Samus Aran went on a five-year vacation from handhelds. Time to return. Nintendo's Metroid franchise has an awkward history, at least when it comes to portables. After thrilling fans with the 1987 original on the NES, Nintendo brought the series into the handheld realm in the 1991 sequel, Metroid II: Return of Samus. Eleven years later, the bounty hunter returned with the critically acclaimed Metroid Fusion, followed by the equally appealing Metroid: Zero Mission. Both titles featured outstanding 2D graphics, exquisite music and classic Super Metroid style play. To say consumers were spoiled would be a big understatement. Then, Metroid took an odd twist. 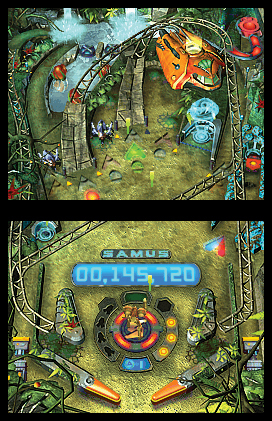 Instead of building off the success of the GBA adventures, Nintendo released the rumble pak supported but lifeless Metroid Prime Pinball for DS, followed by the fun but ultimately shallow Metroid Prime Hunters. Being able to go online and battle other players was a fine achievement, but Hunters was not the traditional Metroid we had hoped for. 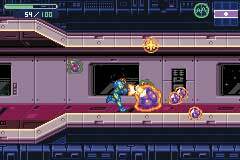 Metroid Fusion was a great way to kick off the series on GBA. To add salt to the wound, Hunters debuted in 2006, and the world has yet to see a portable Metroid since. At this point, Nintendo has yet to reveal its plans for 3DS. Obviously, if DS was capable of a smooth first person experience, 3DS is up for the task. That said, Nintendo could easily produce Metroid Prime Hunters 2, or perhaps release a port of the original 2002 GameCube title, Metroid Prime. There would be advantages in going first person, such as the machine's glasses free 3D, which would offer a new depth of field previously unseen in Metroid video games. At the same time, Nintendo could use that processing muscle to craft a beautiful 2D Metroid that pays homage to the NES, SNES and GBA offerings. We can only imagine what that would look like. Metroid Prime Pinball failed to thrill. If we had to guess, though, the next handheld Metroid will be first person, and likely Hunters 2. The big N can't shy away from harnessing the system's power and snazzy 3D effects, especially with a fierce battle with Sony's technologically superior PlayStation Vita on the horizon. Thankfully, Fusion and Zero Mission may reappear via the handheld's Virtual Console, so at the very least, diehard fans will enjoy some old school Metroid on the go. You know, in between slaughtering other players online in Metroid Prime Hunters 2. We just hope it has a deep single player campaign.